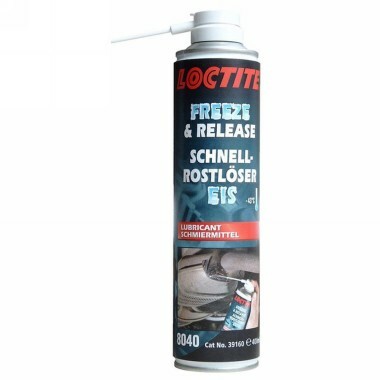 LOCTITE 8040 is a special mineral oil formulation to free rusted, corroded and seized parts. The shock-freezing effect will cool parts instantly down to -43 degrees C and cause microscopic cracks in the layer of rust. This allows the lubricating ingredients to wick directly into the rust by capillary action. Released parts remain lubricated and protected from corrosion. 400ml aerosol.